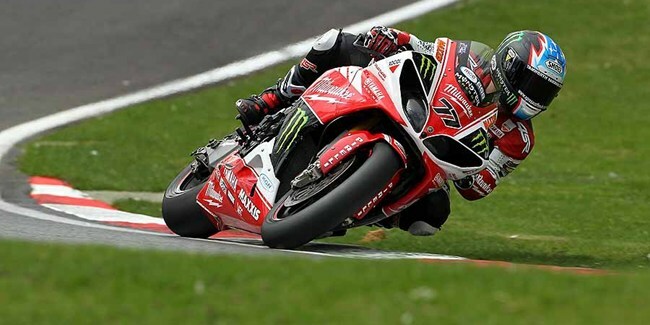 Title contenders Milwaukee Yamaha head to leafy Cheshire this weekend with victory set firmly in their sights. After recent successful tests at both Cadwell Park and Oulton Park itself the team are in bouyant mood ahead of the Bank Holiday Weekend event. James Ellison is looking to add to his win and podium in the opening two rounds of the Championship at what is his ‘home’ circuit. The Cumbrian has tasted success at the circuit before, scoring his maiden podium at the picturesque parkland track and will be looking to add to that twice this weekend to close the gap on the three riders ahead of him in the race for a top six Showdown place. Double-Australian Superbike champion Josh Waters pays his first visit in anger to the undulating track after testing there with the team last week and is as positive as ever in his approach to the meeting. After a tough weekend last time out at Thruxton, which saw Waters highside on the opening lap of race one injuring his wrist, the Aussie is determined to make amends to the team and show the British public exactly what he can do.